Jetbull Casino :: Big Bang video slot – PLAY NOW! 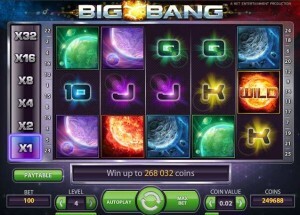 January 23, 2014 (Press release) – Net Entertainment, the world’s leading supplier of high-quality online casino games, launches its latest creation, Big Bang™, which promises to be out of this world. Players’ travel into deep space, on an interplanetary journey to the far reaches of the universe with Wild substitutions and a progressive multiplier. 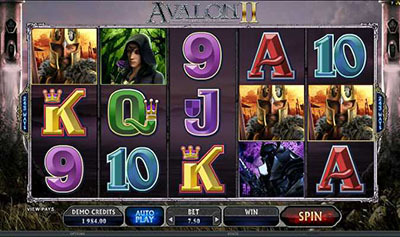 As with all Net Entertainment releases, the rich animations and vibrant colours ensure players are entertained with every single spin. Winnings can be multiplied by doubles X2, X4, X6, X8, X16, and up to a massive X32 to potentially return life-changing winnings. 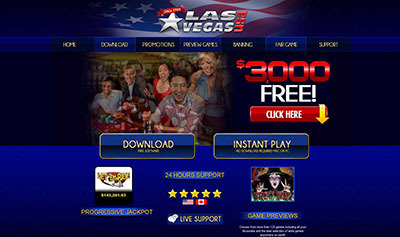 Each of the innovative features maintains high win anticipation throughout this spectacular addition to Net Entertainment’s collection of video slot games. Big Bang™ :: You can try this NEW Slot game right now at the following casinos: iGame Casino, Monte-Carlo Casino, Jetbull Casino, Unibet Casino, Vera & John Casino, ComeOn Casino, Mr.Green Casino, EuroSlots Casino and RedBet Casino.